Combining elegance and functionality, the new vintage BR126 Aéronavale is a 43mm polished steel case powered by a mechanical automatic movement. The retro design aesthetic takes its inspiration from aviation. From the blue sunray dial and a reliable Caliber BR-CAL.301, this watch will take you through the rest of the summer. Designed for pilots, the watch includes a chronograph function. 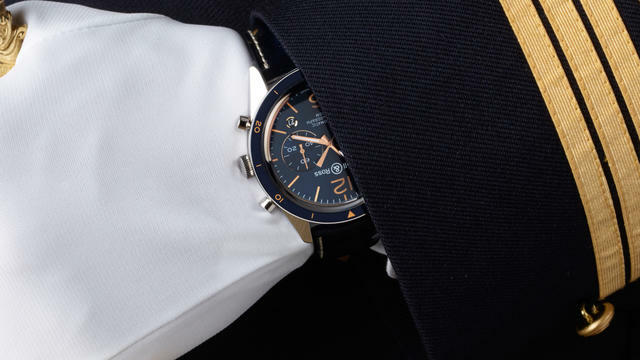 The chronograph is placed by the 6 o’clock position next to the date display. The ultra-curved sapphire crystal underlines both the classic style of the watch and its strength. 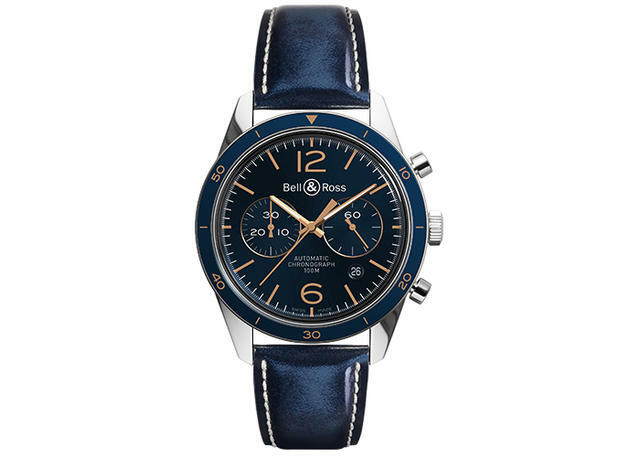 The watch comes with either a blue calfskin strap or a blue alligator strap.